The 147th NRA Annual Meetings and Exhibits (NRAAM) begins its four-day run today at the Kay Bailey Hutchison Convention Center in Dallas, Texas, with exhibits running Friday, May 4 through Sunday, May 6. More than 80,000 attendees are expected to turn out to visit with over 800 exhibitors from the shooting and hunting industries. The exhibits aren’t the only draw, however, with numerous other events on the schedule, including seminars, banquets, musical performances, the annual meeting of members, and the Leadership Forum featuring speakers such as President Donald J. Trump, Vice President Mike Pence, Sen. Ted Cruz, Benghazi survivor Mark Geist, Dana Loesch, social media hotshots Diamond & Silk, as well as many others. The NRAAM is free to all NRA members and their families (including spouses and children under 18 years old), although there are paid ticketed events, so be sure to check the schedule for details of specific events. To keep track of exhibitors you want to visit, events you want to attend, and more, you can download the official NRAAM mobile app for Android and iOS. 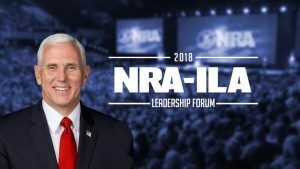 The National Rifle Association (NRA) Institute for Legislative Action (NRA-ILA) today announced that Vice President Mike Pence will keynote the annual NRA-ILA Leadership Forum on Friday, May 4, in Dallas, Texas. The event kicks off the 2018 election cycle and will feature a powerful lineup of pro-freedom speakers. Both the NRA and President Trump, who has appeared at previous Leadership Forums during the NRA Annual Meetings, have taken heat recently for their support of certain gun control measures, such as placing restrictions on firearm accessories including bump-stocks, which the ATF had previously determined did not fall under their purview. The NRA-ILA Leadership Forum takes place Friday, May 4, 2018 from noon to 3PM. The lineup of speakers includes NRA Executive Vice President Wayne LaPierre; NRA-ILA Executive Director Chris W. Cox; Hon. Mike Pence, Vice President; Gov. Greg Abbott, Texas; Sen. John Cornyn, Texas; Sen. Ted Cruz, Texas; Gov. Pete Ricketts, Nebraska; Rep. Richard Hudson, North Carolina; Mark Geist, Benghazi Survivor; Diamond & Silk, Social Media Personalities; Dana Loesch, NRA Spokesperson; Charlie Kirk, Turning Point USA Founder. More details are available on the NRAAM website. While the NRAAM is free to attend for current NRA members and their immediate family, the Leadership Forum requires an additional paid ticket. The 146th National Rifle Association (NRA) Annual Meetings and Exhibits will be held at the Georgia World Congress Center in Atlanta, Georgia from April 27-30, 2017. 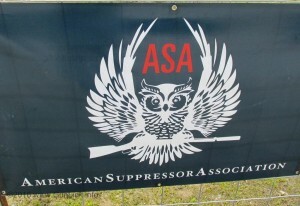 This four-day event will be attended by tens of thousands of patriots and features more than 15 acres of the most spectacular displays of firearms, and shooting and hunting accessories in the world. 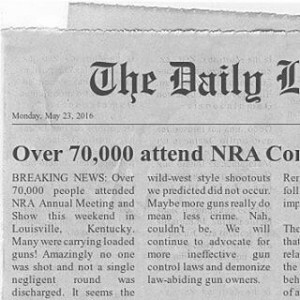 For more information on the massive RKBA event, visit www.nraam.org. 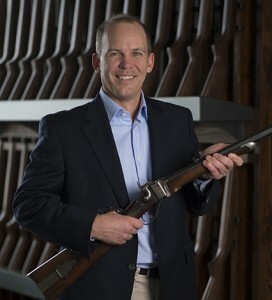 The NRAAM features a powerhouse lineup of political speakers, a Saturday night celebration like no other, hundreds of exhibitors from around the firearms industry, fellowship with like-minded Second Amendment supporters at a variety of breakfasts, luncheons and dinners, and much more. Learn about the progress made over the past year and what the upcoming year has in store at the annual Meeting of Members during the show and make your voice heard within the country’s preeminent gun rights organization. Attendance to the 146th NRA Show is free for current members of the National Rifle Association. If you are not yet a member, you can join the NRA at discounted rates here. Exhibit hall hours are from 9AM to 6PM on Friday April 28 and Saturday April 29 and 10AM to 5PM on Sunday April 30. Click here for a complete list of NRAAM exhibitors and here for a schedule of events. Participate in workshops and seminars on everything from Methods of Concealed Carry to effective dog training to self defense talks from the Refuse to be a Victim program. NRAAM also includes separate ticketed events like the Saturday night celebration with a concert by Hank Williams Jr with guest Lee Brice. Tickets for those events are available here. If you are already an NRA member, you can preregister here to have your admission badges mailed directly to you for free. Your badges give you full access to the exhibit hall for all three days. NRA members can include their spouse and up to 5 children (under the age of 18). If you still need to join NRA before the event, click here to join here for reduced dues. The 2016 iteration of the National Rifle Association Annual Meetings and Exhibits (NRAAM) has drawn to a close and it was a resounding success. With just over 80,000 in attendance over the three-day span, this year’s event was the second biggest in the show’s 145-year history, creating what the Louisville Convention & Visitors Bureau estimates to be a $53 million economic impact for the city.